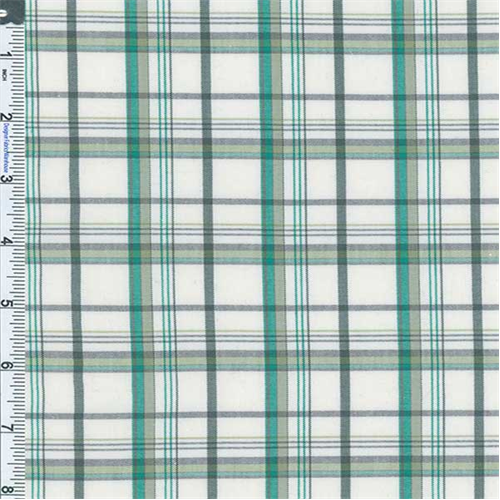 Cotton Blend Chelsea Plaid Fabric By the Yard, Mixed Green. Mid-lightweight yarn-dyed plain weave plaid, crisp snappy hand feel, very slight comfort stretch across width. Semi-opaque: suitable for light casual pants, lined non-drapey dresses, and men's casual shirtings.